2019 is expected to be a year of strict enforcement for registering dogs. 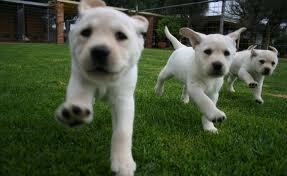 The government uses the dog licensing program to control and ensure rabies vaccinations for dogs. According to the Ministry of Health and WHO reports, the number of human rabies deaths in China is about 3,000 per year, with more than 95% of exposures resulting from dogs. In Beijing, the Ministry of Health reports rabies deaths has been on the rise, increasing from 4 confirmed deaths in 2014 to 8 confirmed deaths as of August 2015. All of these rabies fatalities were caused by exposures to dogs. All dogs must be rabies vaccinated annually in China. 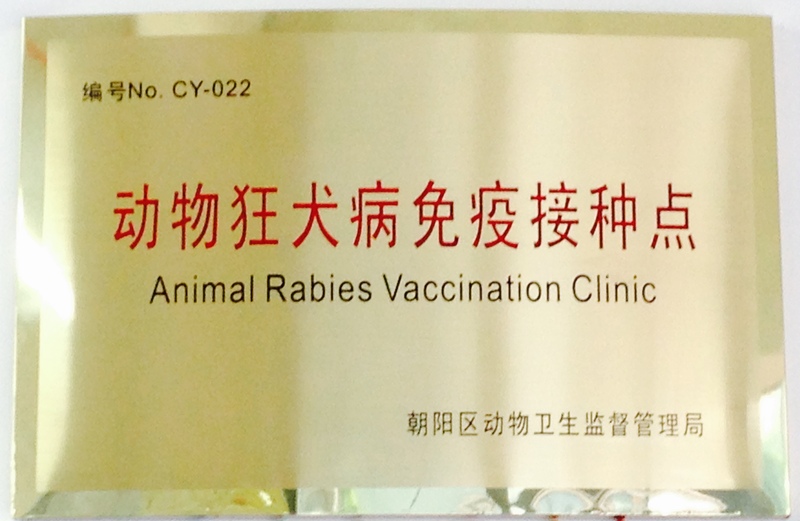 China does not recognize the 3-year rabies vaccines from other countries. Registered dogs must show proof of a legal rabies vaccination within the past 12-months to renew registration. The PSBs in various districts are already sending police officers into residential neighborhoods to remind dog owners to register their dogs. Even though the official dog registration period is from May 1st to June 30th, the crackdowns have begun earlier each year. ICVS strongly recommends owners to register and renew dog licenses by May 31st. Any dog that is not licensed is classified as a stray dog. Once the official crackdown begins after May 31st, unlicensed dogs may be taken away on the spot by the PSB. Owners will have to pay the dog licensing fee and also a potential fine of up to RMB 5000.00. To renew dog licenses, owners must prove that their dogs received a rabies vaccination from an officially designated animal rabies vaccination hospital within the past 12-months. The PSB will not renew your dog license without proof of rabies vaccination for your dog. Your official vaccination certificate known as the Beijing Animal Health and Immunity Certificate (e.g., vaccination red book), should be brought to the PSB to verify your dog’s legal rabies vaccination. Some local hospitals are also issuing paper A4 rabies vaccination certificates which may also be used as proof of rabies vaccination at the PSB. Legally rabies vaccinated dogs are also required to wear the new rabies ID tag on their collars. Please ensure your pet is vaccinated at a legally registered and officially designated animal rabies vaccination hospital. Only officially licensed and designated animal vaccination hospitals are allowed to purchase and administer animal vaccines that are legally imported, registered with the State Food & Drug Administration (SFDA) and safe for pets. Designated animal vaccination hospitals must display a gold plaque issued by the Agricultural Bureau featuring the hospital’s “Vaccine License Number” (see photo, below). Unauthorized facilities such as pet shops, pet product retailers, boarding kennels, grooming salons, dog training schools, non-designated animal clinics and pet hospitals are NOT permitted to procure and administer legally registered vaccines. Please take caution as you may risk having your pets injected with products that may have been sourced through unsecured illegal channels. These products may be expired, counterfeit, or improperly stored and ineffective (e.g., non-refrigerated vaccines). Pets that are vaccinated at non-designated rabies vaccination hospitals are not protected from rabies. More than 95% of the more than 3,000 annual human rabies deaths in China are traced back to dogs, most of whom were never vaccinated or were vaccinated at non-designated animal rabies vaccination hospitals. 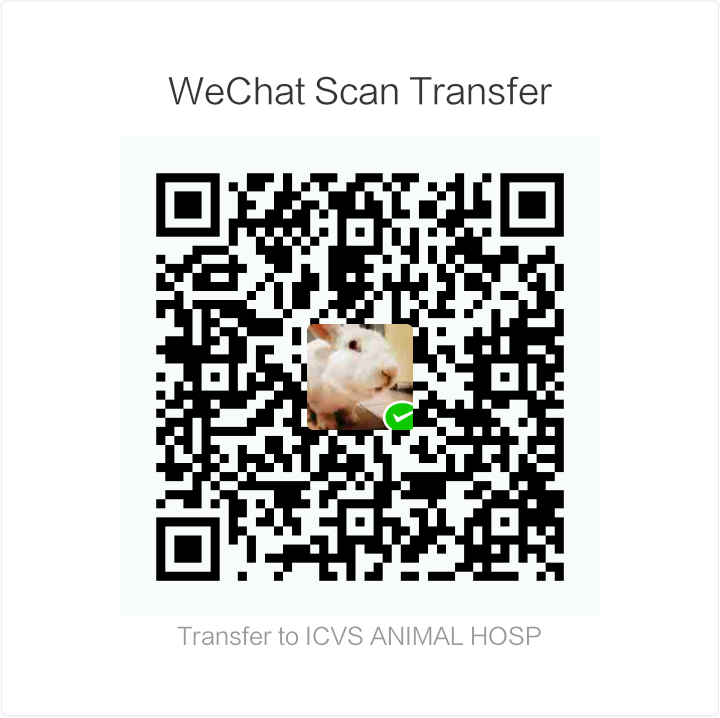 ICVS is a legally registered and officially designated animal vaccination and full service pet hospital in Chaoyang District and can provide rabies, distemper and all other vaccinations for all pets. 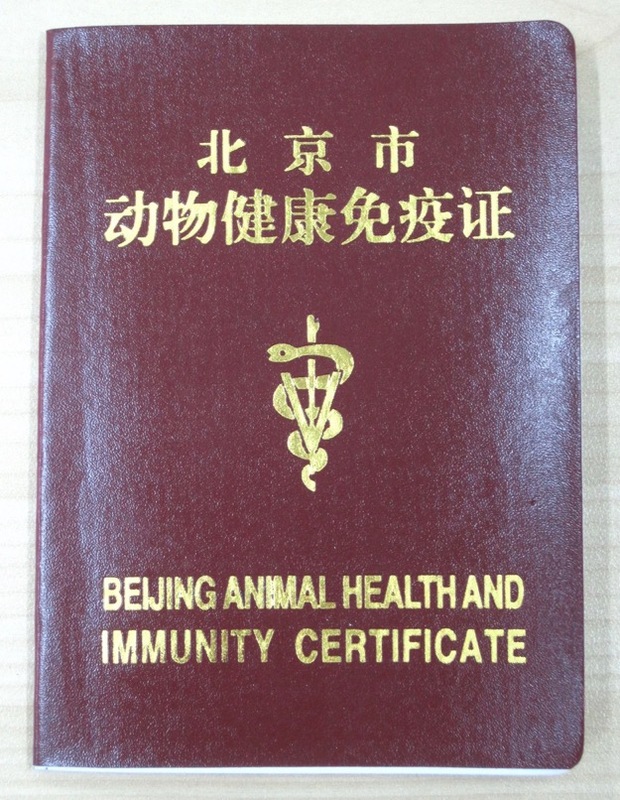 ICVS can issue the official Beijing Animal Health and Immunity Certificate (e.g., vaccination red book) and the new rabies ID tags. 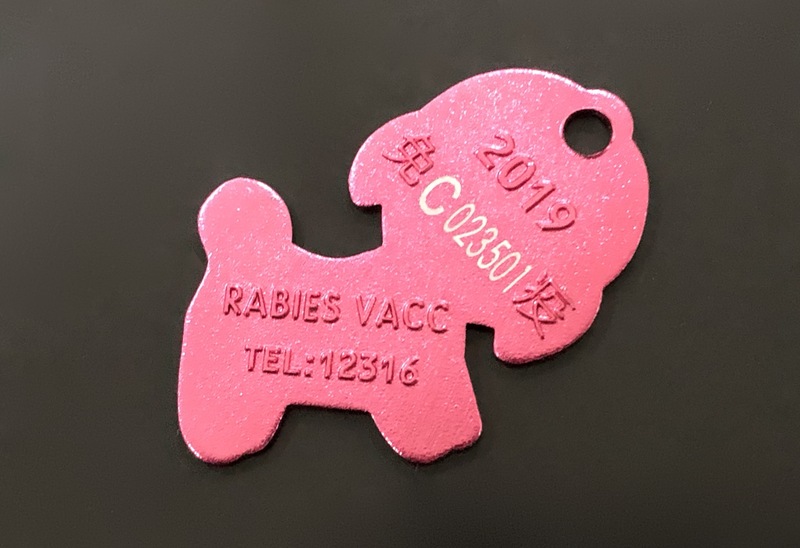 The new rabies ID tags must be worn by all dogs and are issued together with the vaccination red books. The vaccination red book is an important legal document and is still required for dog registration and by the Quarantine Bureau to approve pets for overseas export or to take them to other cities. You no longer need to carry your vaccination red book with you when walking your dog as all dogs can now wear the rabies ID tag to prove legal rabies vaccinations. 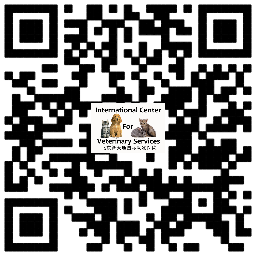 If you have a legally registered dog from any district in Beijing, bring your dog license ID card and your fa piao to enjoy 50% discounts on rabies and canine distemper vaccinations at ICVS! Dogs with valid dog licenses and fa piaos issued in Chaoyang District can enjoy a FREE annual rabies vaccination at ICVS AND 50% discount on the canine distemper vaccination. Owners should carry their dog licenses with them when walking dogs or at least a photo copy of the dog license. If your dog license ID card has not been issued yet or if you are awaiting a replacement ID card, carry a copy of your “fa piao” that you received at the time of payment for the registration and licensing fee. 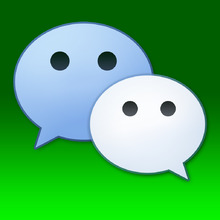 The “fa piao” serves as proof that your dog is legally registered. During the dog registration drive and ensuing crackdown period, all persons walking dogs should carry a valid dog license or the “fa piao.” The PSB have in the past taken dogs away if the owners could not produce a valid dog license or fa piao on the spot. The Public Security Bureau (PSB) administers dog registrations and issues licenses. Please check with your local PSB if you have any specific questions concerning registration of dogs in your neighborhood. Each local PSB precinct (Pai Chu Suo) will have the final say on registration of dogs within their neighborhoods. ICVS offers microchipping services for all pets with the official European Union ISO 11784/11785 standard microchips imported from Germany. These microchips are accepted by the EU and all oother countries. 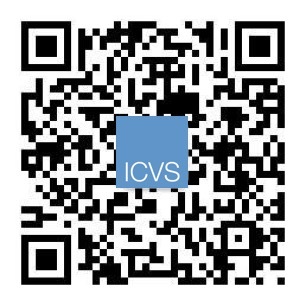 Please contact ICVS for more information about microchipping services. The Beijing municipal government has also issued a list of 40 breeds of dogs deemed "aggressive" that may not be registered under any circumstances within the 8 districts of strict dog ownership enforcement. Please contact ICVS if you wish to check if your dog may be listed as a banned breed. If your dog is spayed or neutered at an officially licensed and registered animal hospital such as ICVS, the hospital can issue you an official BJ “Spay/Neuter Certificate.” This spay/neuter certificate entitles the owner up to a 50% discount on the initial registration fee at the PSB (e.g., RMB 1,000.00 initial fee, reduced to RMB 500.00).